Richard Zorza’s access to justice blog notes that the ABA is looking for director for its Resource Center for Access to Justice Initiative. An introduction to the new CEO of the Law Society of Manitoba and her vision to improve access to justice. The CFCJ has a recap of their recent event on the power of bilingualism. On SLAW, Karen Dyck asks “What If…” – a sort of desiderata for improving access to justice. What would you add to the What ifs? Great work by our friends in Nova Scotia! 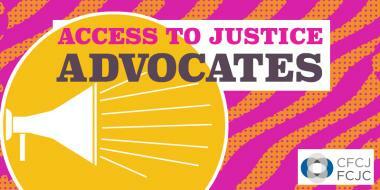 What’s new in ‪access to justice for 2015: Nova Scotia’s first bilingual access to justice centre! The Accès Justice Access centre opened recently at 1663 Brunswick Street in Halifax, as an initiative of the Association des juristes d’expression française de la Nouvelle-Écosse (AJEFNE). The centre offers services in both official languages on site and by telephone, email and online. Free consultations with a lawyer will be available by appointment.